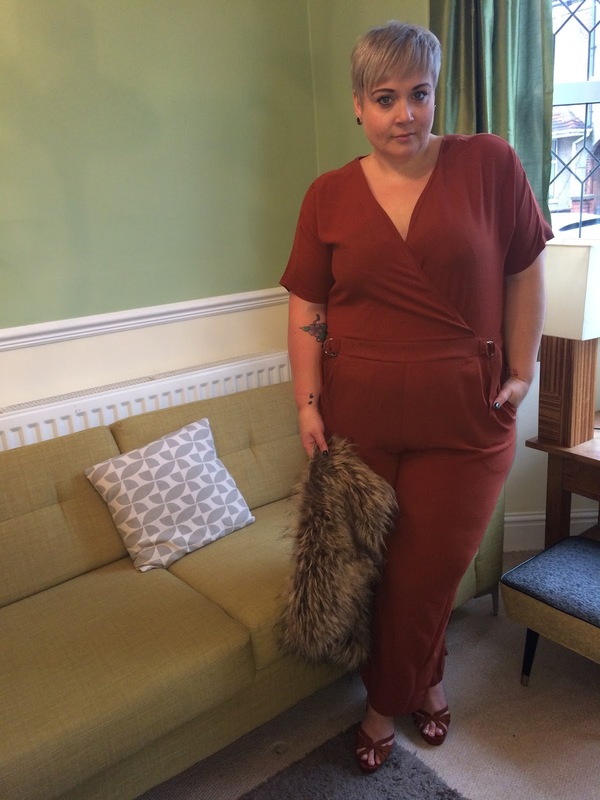 Style: Jumpsuit Styling with Elvi. 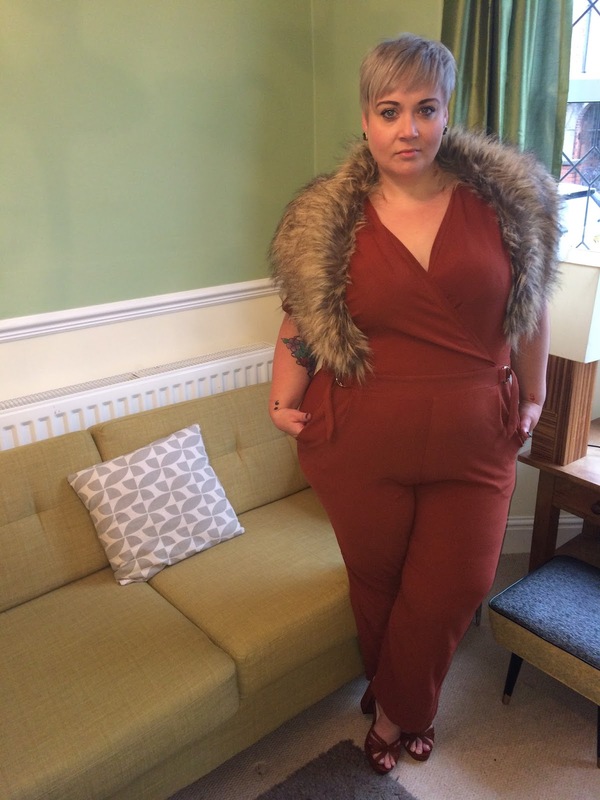 This jumpsuit and the fur shrug are PERFECT together. It looks like it was made for you! Love it! I actually plan to buy this in black for work - just need to wait until after Christmas!